Five states are voting on measures to legalize marijuana for recreational purposes in November, and polls show that these initiatives are likely to pass. But as advocates continue to push for reform, a schism has developed within the cannabis community, pitting pro-legalization forces against some unlikely foes: growers and medical marijuana professionals. That's right: Cannabis enthusiasts are clashing in California, Arizona, Massachusetts, Maine, and Nevada — fives states where medical marijuana is already legal and where adults 21 and older could have legal access to the plant if the states' repsective measures pass. The reason for the resistance is multifaceted, but the central complaints are rooted in deep-seated fears about the corporatization of the industry and what that could mean for medical marijuana patients and businesses. This conflict has been a long time coming. While the legalization movement has really taken off in the last five years, growers have been growing for decades, and medical marijuana dispensaries have been active in California since 1992. "From our perspective, legalization is supposed to be about keeping us out of jail — it's supposed to be about protecting our families," Hezekiah Allen, the executive director of the marijuana trade group California Growers Association, told ATTN:. "But if the in-state marketplace is captured by a small number of very large growers, there won't be much choice other than to continue to engage in criminal behavior. While all the marijuana millionaires get rich, all of the existing cannabis households will continue to be treated as criminals for just making a living." Some view the prospect of full-blown legalization as a threat to a way of life and business model that is already well-established in some pockets of the country. "Do we really want to create Big Tobacco 2.0? Do we really want the inevitable rise of corporate cannabis to be a major political force making public health policy? Throughout our history, we don't do a good job regulating a lot of things. I don't remember the last time we put public health ahead of private profit. And what I see with this move to legalize marijuana is nothing short of the mass commercialization of marijuana and Big Tobacco 2.0." But unlike Sabet, marijuana-friendly recreational legalization opponents still think the government ought to remove cannabis from the list of drugs prohibited under federal law. They just want to legalize in a way that protects their interests and ensures that corporate agriculture doesn't overtake the industry. But how serious is the threat of corporate marijuana? A 2016 report from the Brookings Institution's John Hudak and Jonathan Rauch offers some insight. The researchers argued that people should be more concerned about "bad marijuana" than "Big Marijuana" — and that some level of corporatization could actually serve the interests of patients and recreational consumers alike. "[Some in the medical marijuana industry] think that either their taxes will go up, that their rights to home grow or to greater amounts of possession [will be infringed upon] — in most systems, medical marijuana users can buy more marijuana at one time than recreational users — the idea that prices will fluctuate, or that the system will just merge into one system in which both medical patients and recreational consumers are treated identically," Hudak, a cannabis policy expert at Brookings, told ATTN:. 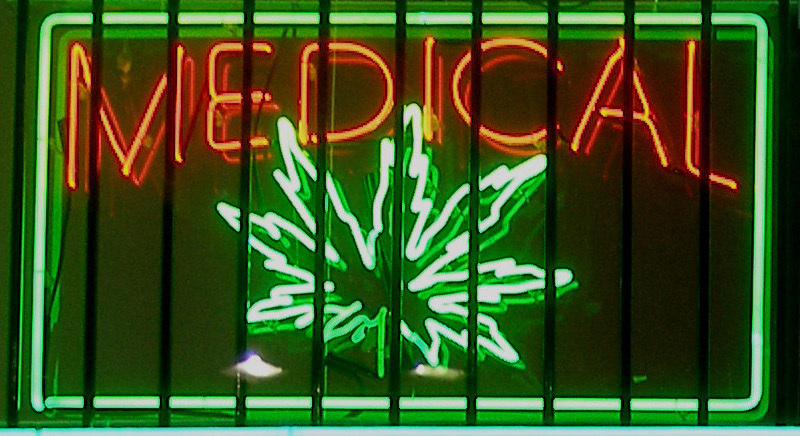 "There is almost this inherent worry that recreational will hurt medical," Hudak said. "In reality, nothing could be further from the truth. Most of the initiatives for [recreational legalization] have explicit protections for the medical programs." How corporatization could benefit the marijuana industry. On a smaller scale, corporatization could yield benefits for patients and users. If larger companies enter the industry, it's easier for them to be regulated, for example. "Large players also produce at scale and tend to produce more consistent, higher-quality products," Hudak said. "They oftentimes are more responsible in a corporate sense, so you're not going to find things like pesticides, you're not going to find things like black mold. They're able to produce in consistent ways that smaller producers sometimes run afoul of." Do you worry about "Big Marijuana"?